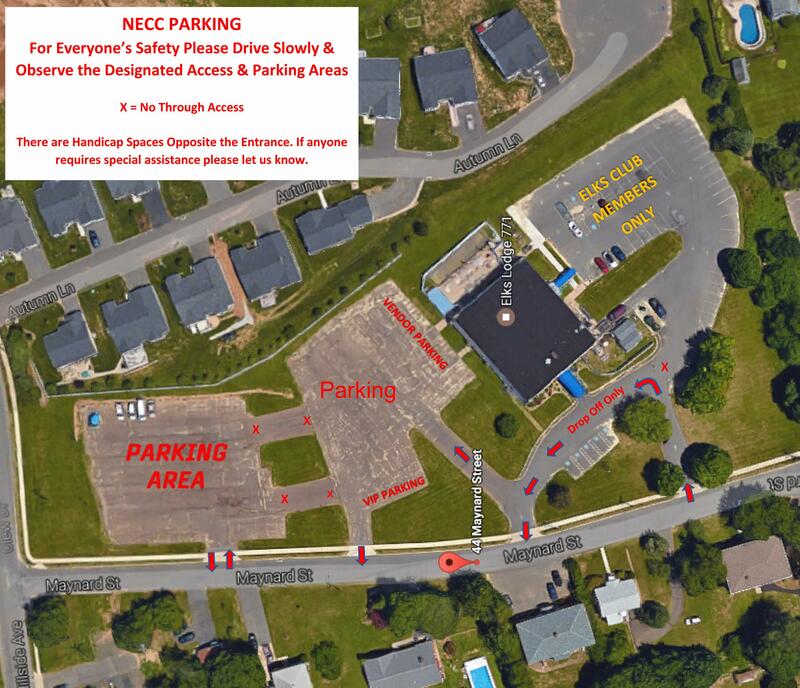 Here are the parking areas for those attending the NACC. Please park only in the designated areas . DO NOT PARK in the area designated for Elks Club Members Only. Handicap parking is available directly opposite the main entrance.